A town centre parking charge freeze, a seafront price hike and more free parking for shoppers - it's all change in South Shields. But is it for the best? Gazette readers have been reacting to car park changes in South Shields, which will see parking charges frozen in the town centre and more free parking made available in the area, but with up to a 20% rise in fees for seafront visitors. Critics have again slammed the council over parking charges in the town centre, which they blame for shop closures, and bemoaned the seafront car park fee rises. Others have defended the council and approve of the move. Mickey Newly said on our Facebook page: "Talk of robbing Paul to pay Peter! Should make parking in town free for what's its worth to visit. "The approach of summer means more trippers to seafront to con people that park there. Don't know how they can justify a 20% increase. This council see car parking as nothing more than a cash cow." Darren Allsopp took a different view. He said: "I don't see a problem, tbf the sea front is packed in the summer, the town is dead, so create free or cheaper parking in the town centre and hopefully people will park there and go to the pound shop and Greggs on way to the sea front, before they also close down." Callum Frame Helen Mitchell not really. There is a good reason people go to Tesco instead of town centres. Free parking right outside the door and you can get everything you want. Free parking in town centres would surely help keep them alive. 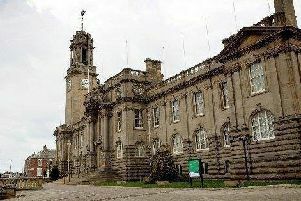 Chris Wilkinson said: "South Shields should be free parking - that’s why it is becoming a ghost town." Rob Mackins pointed to the free parking on offer in the town centre. He added: "Are we still blaming the cost of parking in South Shields for what is clearly a national problem due to changes to habits of shoppers because of the internet and out of town shopping, as well as a down turn in disposable income?" Sue Bloomfield, however, questioned the logic of the parking changes and said the free parking which was available and would be made available was not suitable for all. She said: "Not everyone can carry shopping that far." On the issue of seafront parking charge rises, she said: "Why not offer locals who pay council tax the opportunity to get free parking or a yearly pass for £25 for when they go to sea front." Max Fulton agreed there should be lower rates for people who lived in South Tyneside when they parked at the seafront. "That article (on parking charge changes) has cheered me up no end after my council tax bill yesterday. All said and done this is just another add on to that. Why can’t people who live here be issued with free parking passes and let the visitors pay for parking. Rob Lawson said: "The seafront is already a rip-off. They extended charges to 8pm to catch the swimming pool users a and Pier Pavilion visitors. Even (Newcastle's) Grey Street is free after 6pm. Another bloody rip-off. Artie Carhart referenced the almost £1million profit South Tyneside Council made from parking in 2017-18, a rise of more than £300,000 from the year before. John Heston said every other council in the country charged people to park. He said: "Do you really just think it's our council that charge people to park?" Mickey Newly replied: "No, but they are very unlikely to raise charges to an inflation-busting 20%." Zoe Marshall said: "It's cheap considering other parking charges in other areas." Jim Robertson added: "I was in York last weekend and it cost me £13 for the day." Sarah Hallimond replied: "Yeah but you can't compare South Shields to York." Darren Allsopp added: "Yeah but you can compare £3 and £13?" Rob Mackins despaired of those complaining about the changes. He said: "Council charges people for parking = people moan. Council creates free car park spaces = people moan. "Really I don’t understand why some of the people who post in these forums and don’t just move somewhere else because, to listen to them, South Shields is the worst place on the planet!"